Hey, hi, how ya doing? I am beginning to feel like a professional pink card maker. Another card of encouragement today using a little hope and some boxing gloves. Now that I am blogging this card and looking at the pictures...it needs a little something. 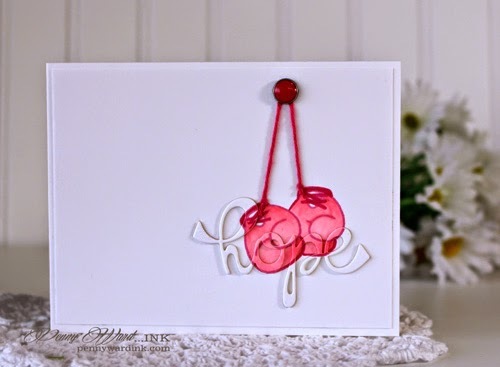 I think this card is perfect - the message being - There is HOPE so keep fighting!!! 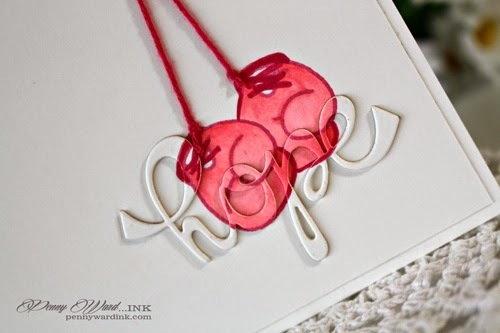 You did an incredible job with the die cut technique and I think it is bright and fresh and full of HOPE!!!! Have a very amazingly wonderful day!!! Oh Penny, I LOVE this card. I think it's perfect just the way it is! 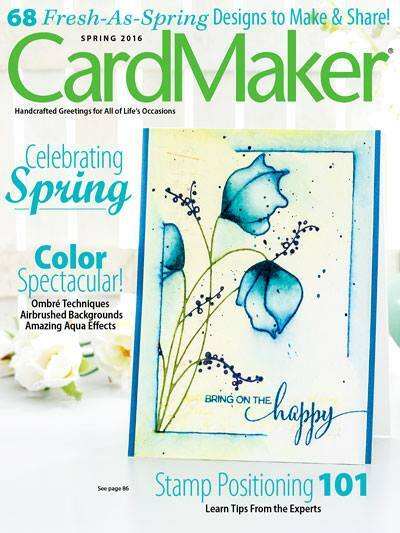 Thank you so much for sharing your beautiful work with the Paper Smooches SPARKS challenge!